ISODODECANE, CETEARYL ETHYLHEXANOATE, CAPRYLYL GLYCOL, ETHYLHEXYLGLYCERIN, BEHENYLCARBAMOYLPROPYL POLYSILSESQUIOXANE, ISOPROPYL TITANIUM TRIISOSTEARATE, CI 77499 (IRON OXIDES). This highly pigmented black eyeshadow has a soft velvety texture and provides full, rich and intense color that won't fade out. 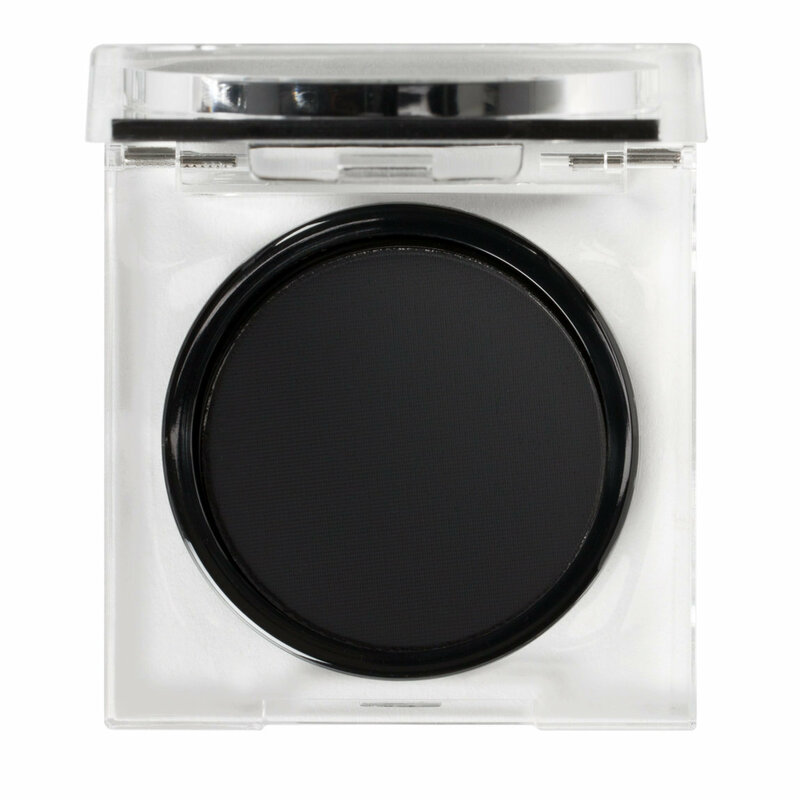 It's ideal for creating the perfect dark smokey-eye effect. I had to buy this to accompany my 28 pan eyeshadow palettes! First of all, it is HUGE. Bigger than a lot of blush pans I own as far as weight! The packaging is super pretty and nice. Not too bulky! Thats oNE thing ibe come to lobe about ND. All her pacaging is actually filled with product instead of being huge and bulky, with a tiny amout of product to make it seem like you are gettin more tHan you are. Wit ND, iys all qulaity product! It even includes a tiny mirror! The eyeshadow itself is fantastic! So pigmented and SO easy to blend! I wear black eyeshadow as top liner because I don't like the harshow look of eyeliner, unless I'm doing a wing. So, I use this daily and I am pretty positive it will be the only black eyeshadow I'll ever need again! This blend like buttery perfection! Best black shadow ever! It performs like no other! It reminds of hybrid shadow and liner! This is exactly what I was looking for in a black matte! It's VERY pigmented and blends beautifully. There's minimal fallout. Definite keeper.